Every Dec. 31, an estimated 130 million Americans resolve to improve something about themselves in the coming year. By February, it’s estimated that 80 percent of them have already bailed on those goals. By the next Dec. 31, only 8 percent are estimated to have seen their New Year’s resolutions through. The good news is that those folks who do meet their resolution goals tend to succeed in making lifelong changes for the better. 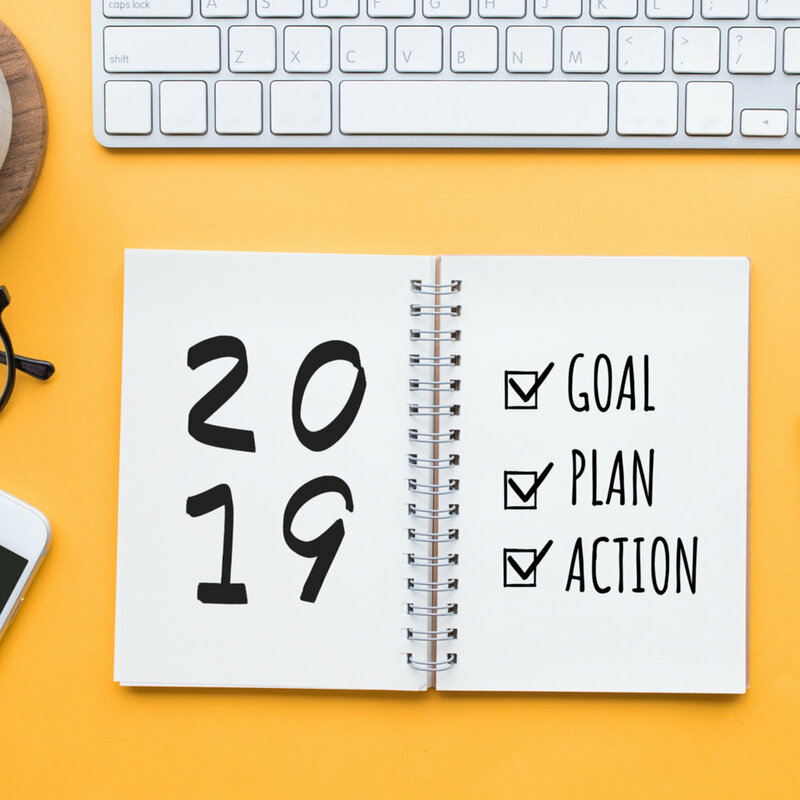 If any of your 2019 resolutions center on improving your business, we have some tried-and-true marketing and public relations tips to keep you on track … one month at a time. By setting monthly goals, not only will you increase your odds of sticking to them but you also can address more areas that may need improvement. 1. Plan: Do a mental review of the past year. What is one area that stands out as weak? Could you have organized your financial goals better? Improved your communication? Done more to market your business? Pick one primary area of weakness and resolve to improve it this year. 2. Image/branding: Update business branding and graphics – from logos to website designs, from text to photos. 3. Media list: Create (or update) a list of print publications and TV and radio news outlets that you would like to have feature you and your business this year. 4. Press releases: Use your new media list to increase visibility and publicity for your business by sending out a press release, on a new product, service or event you’d like to promote. 5. Social media: Increase and maintain your company’s social media presence on Twitter, Instagram, Facebook and/or LinkedIn, with regular tweets, photos, stories, videos and other posts. 6. Blogging: Create a blog – or commit to writing posts more regularly on an existing blog. 7. Speaking engagements: Get out there! Offer to speak (or have a partner or employee speak) on your professional area of expertise, at local/regional business and civic group meetings. 8. Networking groups: Contact your local chamber of commerce for information on joining or starting a local networking group. If possible, offer to host a mixer at your business. 9. Online marketing: Focus on your website – posting, engaging, collaborating – and online marketing tools such as search engine optimization (SEO) and keyword identification. 10. Socialize: Attend community events where you can connect with old clients or meet potential new ones. 11. TV/radio: Create valuable, timely talking points related to your company or business. Then reach out to local broadcast stations to set up informational appearances. 12. Seek support: Don’t be afraid to ask for help! Seek out a marketing/public relations firm to help take some of the burden off achieving your new goals. At The Goddard Company, we take great pride in helping businesses that are resolving to better market themselves.